ordered 2 thanks. Just saved me a chunk of cash! It's got ISOFIXings, there's no additional base. One of the things I particularly like about this seat is how little space it uses. I was a bit taken aback that from size 2 onwards very few seats have built-in five-point harnesses (they use the car's fitted seatbelt) but now it's in place it makes sense. You just clip on the ISOFIX latches, pull the strap to tighten and you're done - a minute's work. Feels nice and secure but also unobtrusive. My son's 3½ and can undo the seatbelt himself but hasn't done so while we're in motion - he's now old enough to take instruction that he must never do this till we arrive. I did see a customer review on Amazon saying that they'd had to return their seat because their child would constantly undo the seatbelt while they were driving. 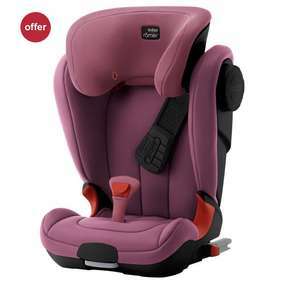 I would imagine this'd be common to all of this style of seat but it might be a factor to bear in mind when deciding whether you still need a five-point harness (you'll know your own child of course). The good thing about this style of seat is that it ought to function for many years. 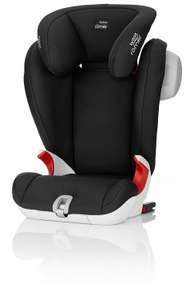 Using the fitted belt means they'll never outgrow it and the headrest can be raised as the child gets taller. Hope that helps! Do these require an additional isofix base? What’s soft latch isofix ? Sorry for beginners questions. Ta. We’ve got one of these and the main plus for us was the clip which lifts the seatbelt away from the child slightly so it helps them to get used to the seatbelt and not pull it away from themselves. Cybex Pallas M fix is also a very highly Which? Best Buy. Very reasonably priced £129.95 on Amazon. Voted your deal hot anyway! Does anyone know the width of these at widest point please? Assuming you are still in the returns window, buy identical one cheaper here and return the new one to the original retailer. Obviously take into account £ benefit vs hassle and any return postage if applicable. I appreciate all opinions on this. But cringing and labelling people ‘dreadfully old fashioned’ is probably uncalled for. Think poster might mean that when the child loosens the belt by leaning forward or pulling it that it doesn’t retract because of the grip of the xpad? Your saving £48 not £118 as this seems to imply! And reviews don’t seem particularly good! We went with the cybex seat as need to get 3 of them across the back and it's narrow enough to allow that in our car. Wevd been really happy with them- they perform well in safety tests and the kids find them comfy. The reclining headrest is good when they fall asleep. The armrest bits can make it difficult to access the seat belt buckle though so the britax is better in that regard. The SecureGuard feature for the lap belt on the Britax is a great additional safety feature that can stop your child submarining under the lap belt and prevent internal injury from the lap belt (more important in younger children). The XP feature on the Britax for the shoulder belt can prevent the belt retracting properly in some cars so something to check for if you go for that one. Damn it. OOS. As is the XP2 model. You could remove the side that is not against the side of the vehicle which it is fitted. This any good compared to the Joie Duallo? I have one already for my daughter and thought would be nice to get matching for my son. No, it’s a great seat. The Kidfix range are good high backed boosters and very sturdy. Safe too. Seems to have good reviews. Anyone have anything negative about it? 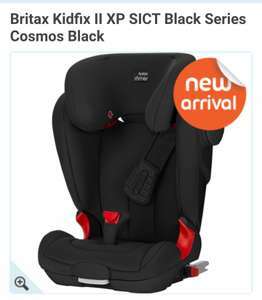 Never miss a 'Britax' deal again! As long as it’s recycled it won’t end up in landfill. You need to be looking for an infant carrier... this is a seat suitable from group 1, not new born. Read the info on the pushchair to see which infant carriers are compatible. Got two of these for each car. Had them years and still in great nick. Kids find them very comfy. Is this compatible with the diono quantum on offer the other day? Thanks op.. Just ordered. It was £125ish on amazon the other day but must have just dropped.. Reviews seem decent so hope will be good.. Does anyone know if this is compatible with the diono quantum? Price has dropped back down on this. Isofix can’t be used for every seat though. The isofix points in a car can only support a total weight of 33kg (that’s the weight of the seat itself plus the weight of the child in it). 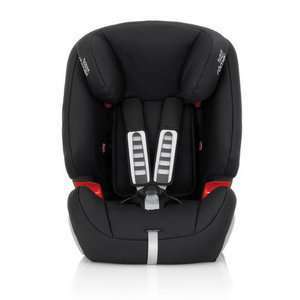 There are lots of rear facing seats on the market, and a handful of forward facing ones, which allow the child to use the 5-point harness until they weigh 25kg, and these all have to be fitted with the seatbelt. Contrary to popular belief these seatbelt-only seats are not going to be phased out. My car has three sets of isofix points in the middle seating row, I have three children and they have never had isofix seats. I do have one isofix high backed booster now, but that’s more so that I don’t have to remember to fasten the seatbelt over it when my daughter isn’t in the car. Apologies, I stand corrected that its a booster seat, not group 1 toddler seat. Isofix should however just be the accepted standard now for all cars and seats (at a reduced price point). its not a group 1 toddler seat. With the group 1 toddler seat the child is harnessed with the baby seat 5 point one same as in a pushchair. In these booster seats the child is harnessed by the cars adult seat belt. There is no difference in the installation of booster seats just toddler ones. The booster seat is kept in place along with the child by the adult belt. For a booster seat to be fitted correctly it depends on the lap belt being over their hips not their tummy and the should belt sitting against their shoulder not their neck. Having isofix does not have any influence on belt routing on these style seats nor does it reduce the likelihood of fitting incorrectly. This is inaccurate information!... Isofix is a preferred standard of child seat fixture to simplify instalment, given traditional systems are often fitted incorrectly. Isofix is available in all new cars circa 2012. I own both standard of seats, plus ive had a hybrid 'easy fix' base on a baby seat and Isofix is by far more secure regardless of convenience as the makers intended. Yes it costs a fortune and could be priced fairer. When your child is released from a non-isofix seat they use the belt from the child seat not from your car. Therefore the seat remains fixed in place without needing isofix. Your statement doesnt make any sense...? Hi. Is there any chance to deliver it to Portugal? Hey thanks for the info I've placed an order. Had my 4 year old rear facing until now so this is going to be a big change. Good to know it rates well.